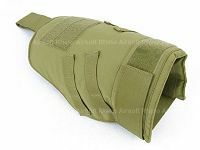 Pantac Outer Tactical Vest MOLLE Shoulder Pads. Features velcro fastening and a velcro patch for adding your own tactical patch. 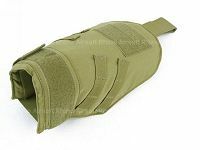 Features MOLLE Webbing for adding accessories to. This product benefits from being made out of INVISTA 1000D Cordura Nylon, with incredibly durable properties, making it more resistant to the usual wear and tear (up to three times more resistant than normal Nylon). The construction is made to military specifications, which ensures that this product will last a long time, throughout all conditions. The material is resistant to water, and can handle damp environments easily, maintaining its structure. * 2 pieces as a set.